Victor Scott is a primary school that witnessed a bloody shooting on its fields – it is literally on the frontline between rival gang turfs – and where virtually every student and staff member has been directly affected in some way by the terrible gang violence that shows no sign of abating. I had the privilege of visiting the school last year while producing a publication for YouthNet and was struck by the indefatigable spirit and determination of its teachers and YouthNet mentors to give students like Malaikah every chance to realise their potential. As DJ Patrina Paynter, the event’s MC, pointed out, gang violence is perpetrated by a tiny minority but the media headlines often obscure the positive attitudes and achievements of the majority. That’s why this week’s celebration was worth every cent. Children need to know that being a successful person is not just about grades or money. It’s about setting an example, having values and the moral courage to stand up and defend them. Those attributes can be powerful weapons against bullying, drugs and other anti-social behaviour and the Young Citizen Awards, it seems to me, are a very positive way of encouraging children to be leaders, not followers. 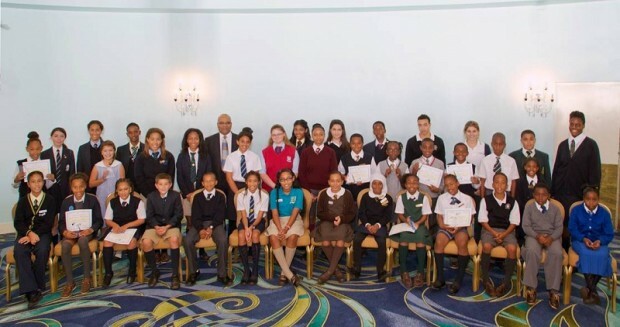 Without a foundation of responsible, caring young people, Bermuda has no hope of building a better future. I hope Toby, Malaikah and all the Young Citizens will continue to “do the right thing” and play their part in that future.